While music is Darryl Davis' full-time profession, seeking to improve race relations nationwide, has become a full-time obsession. 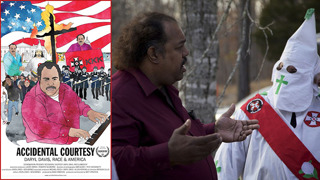 In "Accidental Courtesy," Davis is the first Black author to travel the country interviewing KKK leaders and members, filming real-life encounters with Ku Klux Klan and neo-Nazi leaders a he helps to dismantle racism across the United States. For the fourth year, the National Civil Rights Museum is proud to partner with civil rights activist Ruby Bridges-Hall to present the Ruby Bridges Reading Festival. Children pre-K through elementary school not only receive free books at the festival, but can also enjoy storytelling and entertainment. Educators, with their valid school ID, can also get free books for their classroom. The event will feature fun activities including face painting, balloon animals, dance and musical performances and food trucks.